George Maloof is a legend in the state of Georgia. 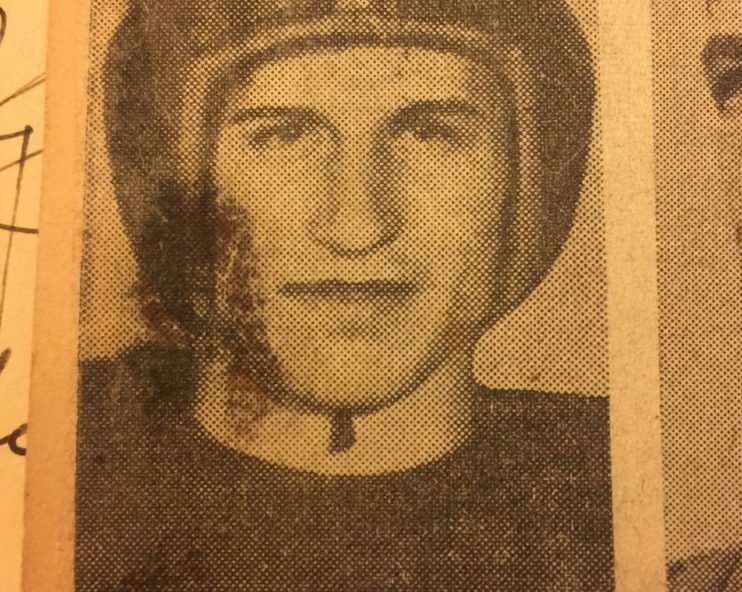 In 1947 he was helped to lead the Marist War Eagles to a 6-4-1 season. Maloof played end on the team under another legend in RL, Shorty Doyle in his first season as the Marist coach. Maloof would go on to play college ball at Georgia Tech and helped lead the Jackets to an undefeated season and an SEC title in 1951. After military service he became the first (and still the winning-est) coach at St. Pius in 1958. He would lead the Golden Lions for 26 years finished with a 65% winning average and a state championship in 1968. Coach Maloof passed away in 2009 at the age of 79. Two of his sons went into coaching; Keith & Kevin. Keith is still at Norcross and Kevin was the longtime Dacula coach. The Maloof family has a special place in Touchdown Club history as being one of the very select few father-son combinations to have won an award for their High School football play as well as being named as our Coach of the Week.